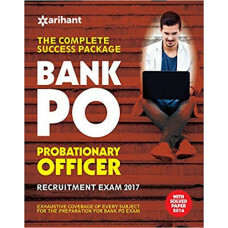 The present book for Bank PO has been divided into six sections namely English Language, Quantitative Aptitude, Reasoning Ability, Computer Aptitude, Marketing Aptitude and Banking Awareness, each sub-divided into number of chapters as per the syllabi of various PO Recruitment Examinations. It also contains as separate section to prepare you for descriptive test. Each section in the book contains ample number of solved problems which have been designed on the lines of questions asked in previous years Bank PO Recruitment Examinations. Each problem has been solved in detail with authentic solutions for effective comprehension of the concepts on which the problems are based. The questions covered in the book have been designed strictly according to the current test pattern of the bank PO exams. Also each chapter ends with a practice exercise which will help the aspirants revise for the syllabi topic-wise and chapter wise. Hints and solutions to the practice sets have also been given along with the exercises. 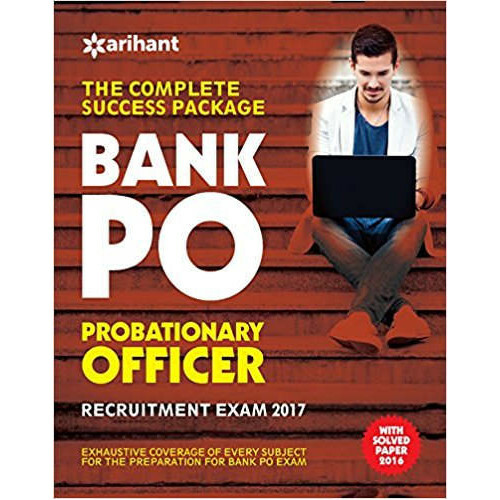 Descriptive test is provided in the book to help candidates to self analyse their level of preparation for the upcoming Bank PO Recruitment Exams. The book also contains solved papers of recently held (2014, 2015 and 2016) Bank PO recruitment exams to help candidates know the current examination pattern and types of questions asked therein.